PRESS RELEASE: Maction Planet is delighted to announce that they have been appointed on-the-ground coordinator for Japan Folding Bike Tours. Their partnership will begin in the lead up to their upcoming trip in Spring 2019. Alex Kent, Japanese translator, interpreter, and lover of all things Japan, will be leading a 2-week tour of Japan by folding bike in Spring 2019. This will be a truly unforgettable, close-to-the-ground, people-to-people jaunt through Tokyo, Kamakura, Kyoto, and up into Japan’s fabled north country, Tohoku. 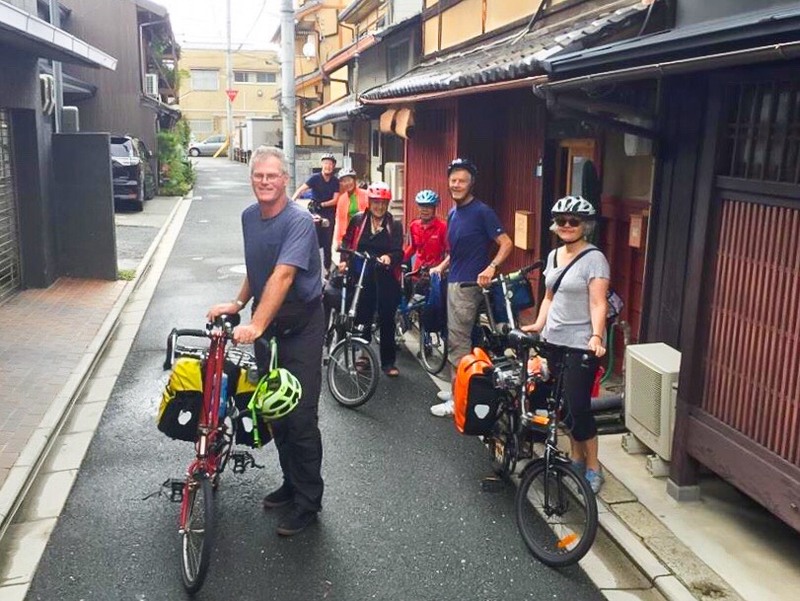 “It is an honour to partner with Alex and Japan Folding Bike Tours. 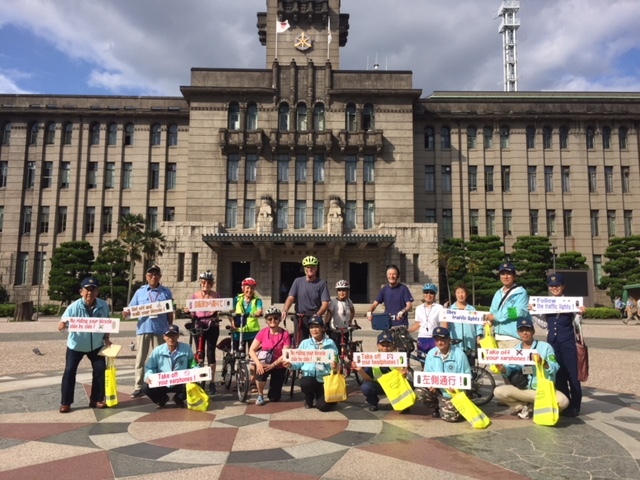 The feedback from his 2016 trip was incredible, and as soon as he approached me I knew I wanted to be a part of making future Japan Folding Bike Tours bigger and better.” said Mac, Founder and Lead Guide of Maction Planet. Exact dates for the Spring 2019 tour are to be finalised. Although the tour will have a general itinerary, at each city, town and village along the way there is the characteristic Maction Planet flexibility to adapt to changing circumstances and the special interests of individual participants. The tour will combine intercity travel by train with local travel on folding bikes. Why folding bikes? “The beauty of a folding bike is that, when folded and safely covered in a travel bag, a bike can be carried onto virtually any Japanese train at no extra charge. Your kit is complete with a set of panniers or a backpack. We exit the train station, saddle up, ride over to our lodgings to drop off our bags….and then, FREEDOM! Reverse the process to get back on the train and onward to the next destination.” said Alex. Maction Planet is a Travel and Apparel business based in Tokyo. They run private, fully-customised tours and travel experiences in Tokyo, and beyond. Guests have described them as “reinventing custom travel” in The World’s Greatest Metropolis. Since the launch of their website in February 2017, and growing their business away from solely ‘word-of-mouth’ recommendations, Maction Planet is now ranked in the Top 3% of all Tokyo Tour offerings on TripAdvisor, with 100% 5-star reviews – ahead of many long-established Tokyo Tour companies. Maction Planet was appointed the recommended Tokyo tour company for the May 2018 Disney Asia Tour from TDR Explorer. They have developed a loyal fanbase, with over 3500 Instagram followers. Alongside the travel arm, Maction Planet Apparel designs unique T-shirts inspired by the city they love. Alex Kent has decades of experience with the culture and language of Japan. He is fluent in Japanese and lived in Japan for over 5 years, with numerous trips back and forth since then. An avid cyclist, he brought his touring bike to Japan to travel the 1,200 km route of the 88 temple Shikoku pilgrimage in 2013. Alex led a 2-week folding bike tour across Japan in 2016. He has made numerous tours in New England where he currently resides.